The never ending string of random murders just keeps on growing, leaving us with innocent dead victims and grieving friends and family. Just last week, one of these tragedies became a little more personal for me. As I was leaving a great concert put on by Elvis Costello & the Imposters, I checked my phone, and noticed an alert that a gunman had opened fire in a movie theater in Lafayette, Louisiana, and killed 2 people, injuring 9 others. In the lobby, after the show, I bumped into Wisconsin State Rep. Terese Berceau, who is a friend of mine, and she asked if I had heard about the mass murder. My pathetic response was that it was not a mass murder since only 2 people had died. We both bemoaned the sad fact that it seems impossible for state legislators or Congress to control the ever spiraling number of murders through effective gun control. This was an unimaginable tragedy. The loss of our precious, beautiful Mayci Breaux saddens the hearts of our entire family. Thanks everyone for your kind words and sympathies. whom she planned on marrying, and who was wounded in the theater shooting. Since, my friendship with Alan is mostly professional and I have not met his whole family, and since he lives in New Orleans, my immediate thought was that Mayci Breaux, one of the two murdered women in that theater, was a family member of his. So, in addition to expressing my sympathy to Alan, I asked, and it turns out that Alan was her great uncle, and they were getting ready to travel to a large family reunion in the near future. 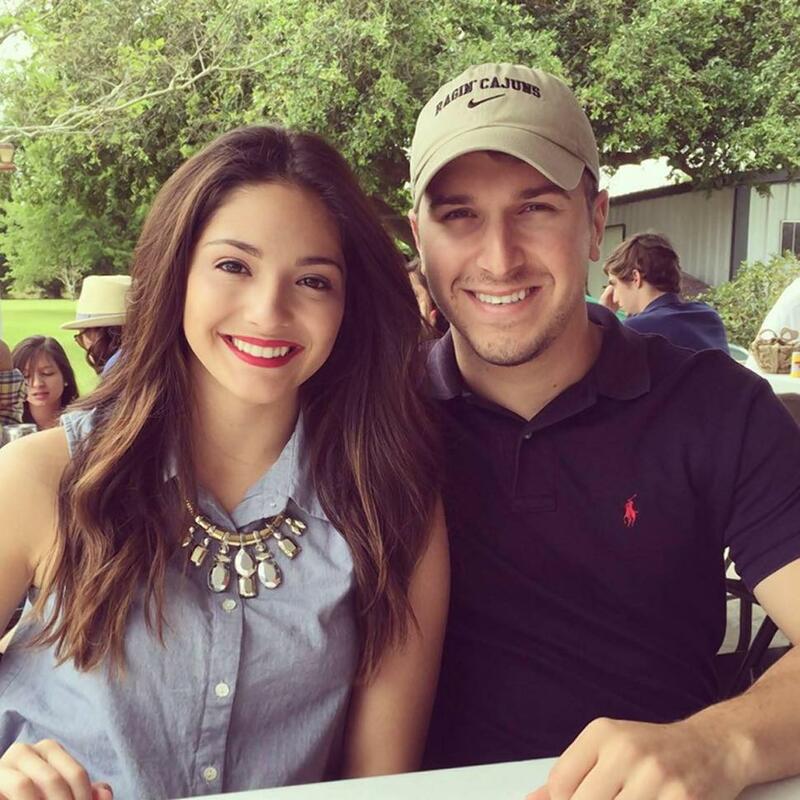 I did not know Mayci Breaux, although everything I have read about her suggests that she was a wonderful young woman with a bright future ahead of her, that was snuffed out by a bullet. After the Sandy Hook Elementary school massacre, I put out a call to repeal the Second Amendment. While I knew it was unlikely that our nation could move that far, I truly, and it turns out naively, believed that the massacre of 20 young school children and 6 school staff would finally turn our nation towards effective gun control. Sadly, that did not happen. For a long time, since then, out of frustration, I gave up on the ability of our state and federal governing officials to engage in effective gun control. But the murder of Mayci Breaux reminded me that it is not in my DNA to give up when something is as important as stopping the rampant daily murder of innocent people in our nation. Indeed, it brought to mind the lesson my mother taught me during the Vietnam war, when every Friday, the nightly news would announce the body count of dead, wounded and missing in action. Then, since I lived in Detroit, the local news would follow with the weekly and annual murder count. My mother wisely taught me that the numbers numbed us into forgetting that each one of these deaths was of a real human being who left behind loved ones. In the spirt of not giving up, and since my business is Systems Change, it dawned on me that since our nation seems incapable of controlling guns, perhaps the better route is to treat guns and bullets like we treat cigarettes, another legal vice, by raising the taxes on them significantly. After all, raising taxes on cigarettes has proven to be an effective method to reduce smoking, especially among youth and low-income people. Best of all, the 2nd Amendment does not prohibit taxing weapons. As I did some research on this issue, I discovered that a bullet tax has been proposed before. The late, great Sen. Patrick Moynihan proposed one. In 2013, the California Assembly considered, but did not pass a bullet tax. The fact that these two proposal did not pass, does not mean that they cannot pass, so today, I challenge Congress and every state legislature to institute a bullet tax so high that our nation finally ends the ever rising spiral of senseless murder that brings new tragedy to new victims every single day. We cannot afford to give up on effective gun control. Not if we hope to avoid more tragedies like the murder of Mayci Breaux. Until we mature as a civilized culture to implement the regulations of firearms as the Supreme Court states the Second Amendment allows we need to use every tool available such as bullet taxes. So thanks, Jeff, for this tiny ray of hope.